Posted by strider July 24, 2013, 9:56 p.m.
A few weeks after the release of Lutris 0.3.0, it's time to upgrade! When logged in the Lutris client, your game library will be synced from the website. It seems that a lot of people are looking for a way to make Steam for Linux and Steam for Windows play well together (see on /r/linux_gaming or LinuxGameCast forums). 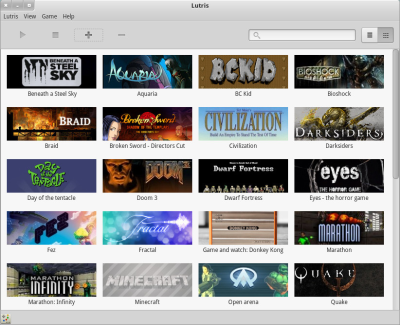 When Lutris started, Steam for Linux wasn't available and only Windows Steam games were supported. Now, it's time to take this into account and provide a seamless integration between both client. Since, there is no way to switch to Offline mode without restarting the client, only a single Steam client will be open a given time. In the next release it will be possible to play a Linux Steam game and then switch to a Windows game from Lutris itself. Also, thanks to the Steam API, it will soon be possible to import your Steam library directly into your Lutris library.